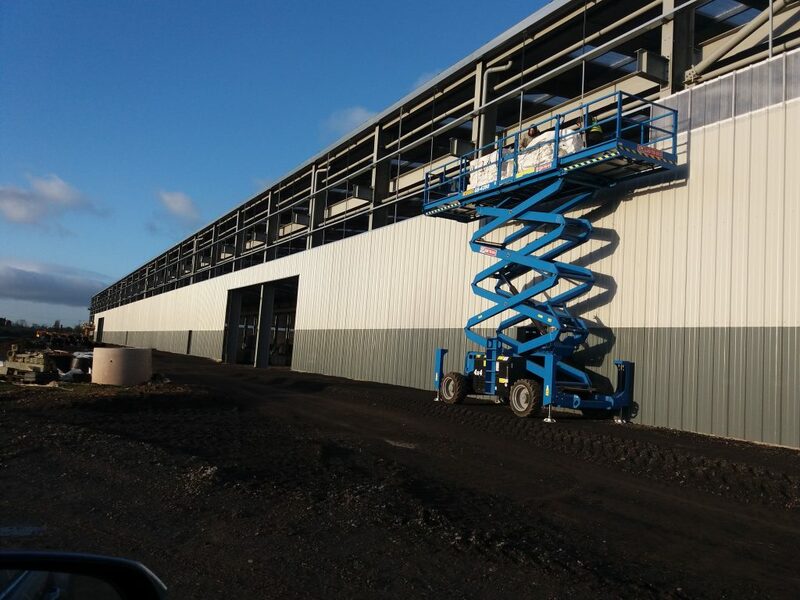 ASBP Patron member Cleveland Steel and Tubes Ltd bought an unwanted steel frame warehouse at auction before successfully refurbishing and re-erecting it on their North Yorkshire industrial estate. The building originated as a new warehouse for a construction company in Ireland that ceased trading in 2009. It was bought by Roy Fishwick of Cleveland Steel and Tubes Ltd in 2013 at auction and has now been erected on their industrial estate. He bought it as the loading heights, bay widths and fitted crane rails, all met his requirements. The 520 tonne building was available for inspection pre-auction. It transpired that the tubular bracings were missing, so these had to be replaced, otherwise the building went up smoothly. Other minor modifications were down to the wind-loadings required on site, which are now post code derived and at the gable end, to enable future expansion. Roy continued the reuse theme to the topsoil from his site. He contacted local farmers in a two-mile radius and offered free topsoil, which was incredibly popular and saved disposal costs of approximately £10 tonne – a total of £80-120k. He also acquired 30k tonnes of road plannings – tarmac that is skipped from the top of road surfacing and used 10k tonnes in the sub-base of the slab, which he estimates saved £300k in the cost of aggregate. The steel varied in finish to rust, bare and well painted. In discussion with the paint manufacturer, it was decided to overcoat the steel and so remove the rust with sandblasting and shot blasting and then overcoat all. 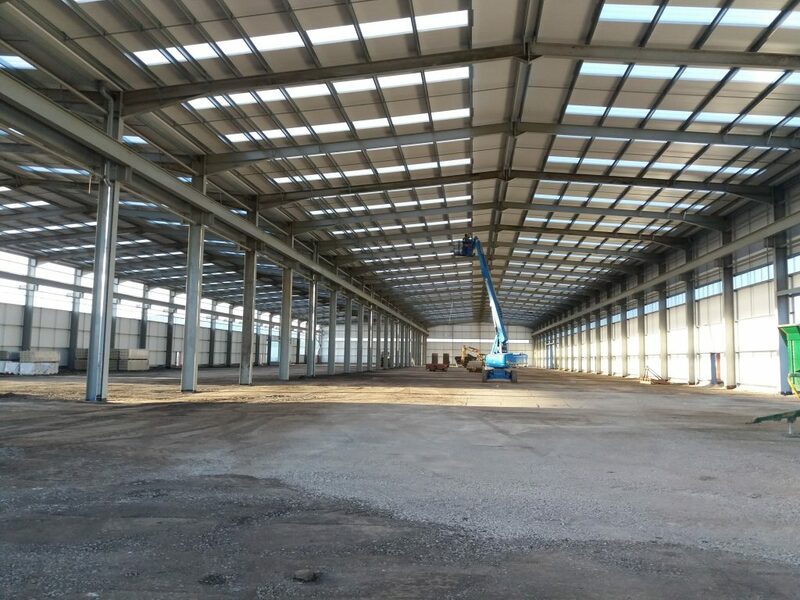 The warehouse will have lots of natural light, with 20% of the roof perspex panels and will now be clad and serviced ready for use in 2018.